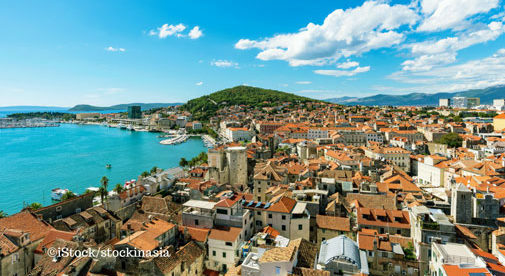 When Sara Dyson heard that the popular TV series, Game of Thrones, was going to be filmed in Split, Croatia, she acted fast. “The moment I heard the show was going to film in the Split area, I bought the website domains. I didn’t know what I was going to do yet, but knew there was an opportunity,” Sara says. Six years ago, Sara took a leap of faith and moved to the seaside town of Split. Having studied abroad during college, the Texas native yearned to return to Europe since her first visit. Initially, she considered Italy. But then later, she set her eyes on Croatia, Italy’s neighbor to the east. She was particularly drawn by accounts of Croatia’s low cost of living, stunning landscapes, and friendly people. The gamble paid off, and six years later Sara is still savoring a relaxed Mediterranean-like lifestyle along Croatia’s Dalmatian Coast. Sara freelances as a web-developer, but when she heard that her new home was to become the fantasy world of Westeros, she decided she could make an additional income. Partnering with a Croatian local who is a fellow Game of Thrones fan, Sara designed five-hour tours that take travelers to several filming sites. One stop is a 1,700-year-old palace built by a Roman emperor. Another highlight is an imposing fortress nestled in a dramatic mountain pass. The tour costs €120 ($148) per person. It includes entry fees, air-conditioned transport, and lunch at an atmospheric water mill that was also featured in the HBO television series. Guests feast upon traditional Croatian fare at the mill: barbecued meat or grilled fish, roasted vegetables, hearty bread, and locally-produced wine. Three Croatian guides lead the tours. 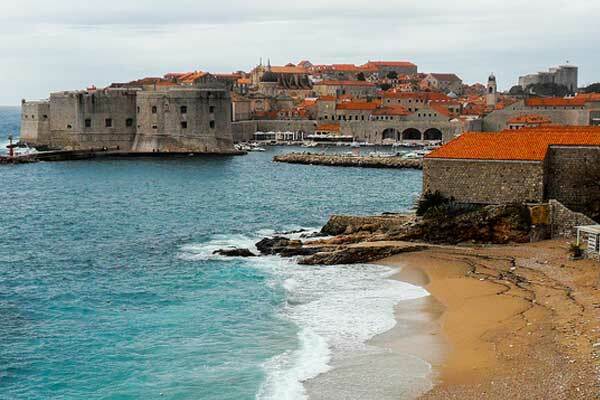 Dubrovnik, a city in southern Croatia, is a filming location for King’s Landing, the capital of the Seven Kingdoms in the TV show Game of Thrones. Unsurprisingly, Sara’s success has mirrored that of the enormously-popular television show. “We are now starting our fifth season for the tour, we have hosted thousands of guests, and are the largest and highest rated Game of Thrones tour in the Split area. What started off as a side project and experiment has grown into a behemoth, and I love it,” she says. Sara’s entrepreneurial pursuits now have her working about 20 to 25 hours per week—a far cry from the 50-to-80-hours of work she once had in the U.S.
“Being my own boss definitely has its perks. While I’m usually too busy to stray from my schedule with regularity, I am able to blow off a work day if I want. If I have a meeting in town, I have the freedom to leisurely return to the office after a coffee or shopping excursion, or sometimes I don’t return at all. Ultimately, it’s all up to me,” she says. In her free time, Sara maintains a blog, Expat in Croatia, where she shares tips about settling in the country. Being based in Europe, she’s also gotten to do a lot of traveling, visiting much of Europe, Asia, and even South Africa. Sara says that the Dalmatian Coast has a Riviera-like feel about it, but with a reasonable cost of living. Her 800-square-foot apartment has two bedrooms, two bathrooms, and costs $500 a month. Utilities—including cable and internet—are an additional $165 a month. Best of all, Sara’s apartment is only a 20-minute walk from Split’s picturesque city center.